This group’s case study is a particular case of perfect execution and communication with the group leader of Aegean Airlines S.A company. The airline company invited 80 top level executives from all over the world for their annual international meeting which for 2016 was held in Athens, Greece. Due to the very tight schedule, Scooterise organized the team building activity and a very exhilarating Trikke ride to pay off the group’s hard work. 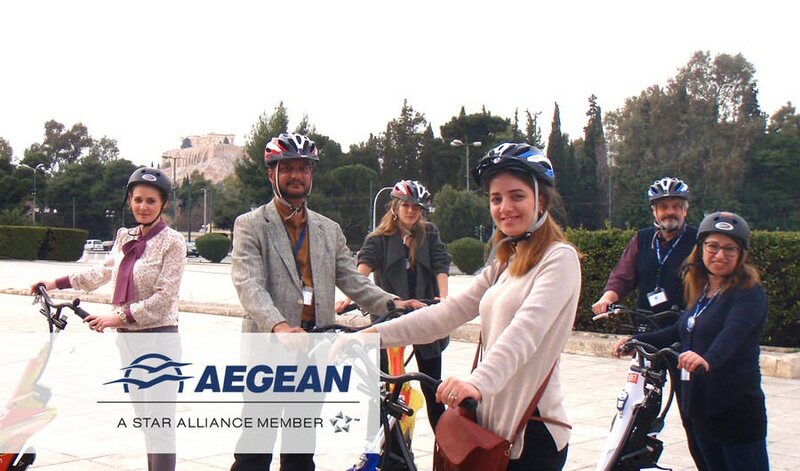 The operation ran very smoothly, the group was briefed outside the Acropolis Museum, had an orientation with the Trikke vehicles, and all participants were eager to begin. After the end of the whole team building activity, everyone was excited eager to do an even bigger tour, like the Athens Complete Tour or the Athens Riviera Tour. During an international business meeting in Athens, we had the chance to experience a scooter ride in Athens that will remain in our memory as an outstanding and unforgettable experience! If you have the chance don’t miss it! Marie H.